Panoramic views of Beaver Stadium & Mt Nittany is exactly what you'll get from your new home in Clover Highlands. 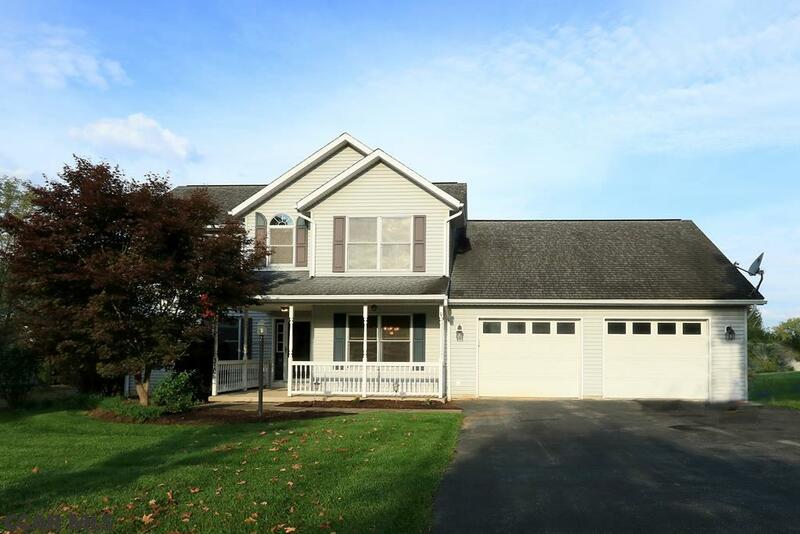 This traditional 2-story delivers a welcoming covered front porch & beautiful landscaping. Once inside you'll appreciate the abundance of natural light thru-out. Formal living room with corner fireplace, elegant dining room & a spacious eat-in kitchen with ample cabinets for storage & countertops space for prepping meals. Master suite features an updated private full bath featuring a granite vanity top, tile floor, tile shower w/Jacuzzi tub & walk-in closet w/custom built-ins, sitting room off of master offering multiple uses. The 2 additional bedrooms both have walk-in closets. Walk-out basement boasts a finished rec room perfect for game day. When you're ready to entertain or relax you'll appreciate the heated in-ground pool, covered rear deck & pool patio area. See highlight sheet for additional info. Centralized location easy access to 322 & 99. Directions: E College Ave, Cross Over 322 Turn Left Onto Walker Drive, Stay Straight To Go On Gregor Way, House Will Be On Your Left.